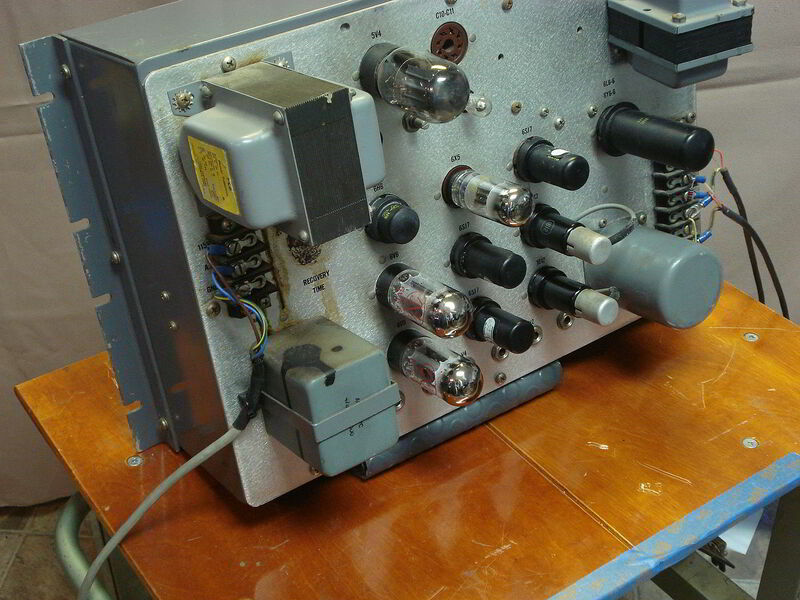 This pic shows the inside of the Gates SA39 post mod. 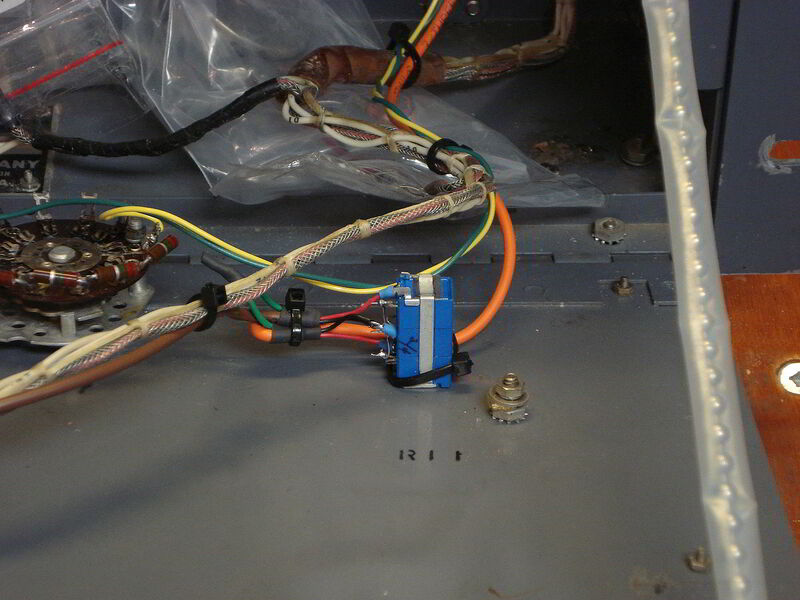 600 ohm output attenuator can be seen on right (blue) and release time switch moved to front panel. Headphone jack and original gain pot are wrapped in plastic bags, thus still there should there be any reason to revert. This pic shows the stock output pad of the Gates SA39 bypassed. 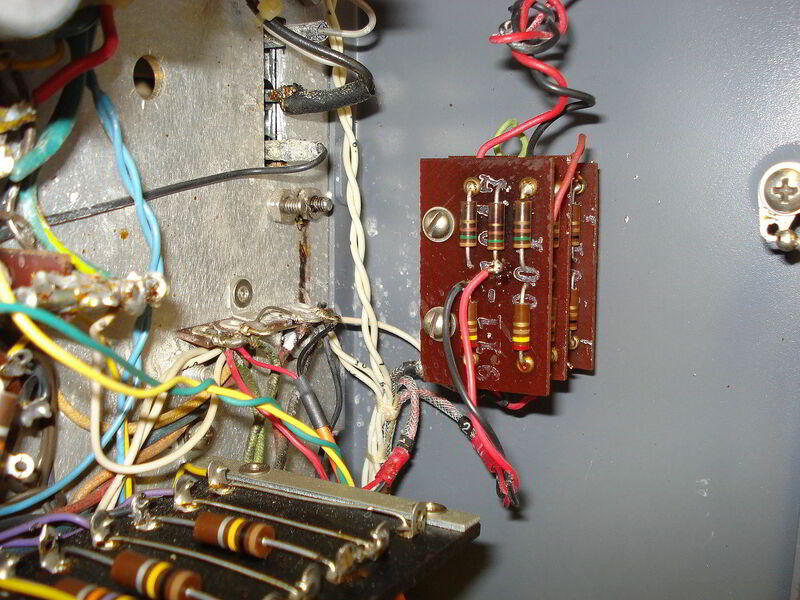 The red and black wires curling up to top of pic had formerly been connected to the rear panel output terminals. 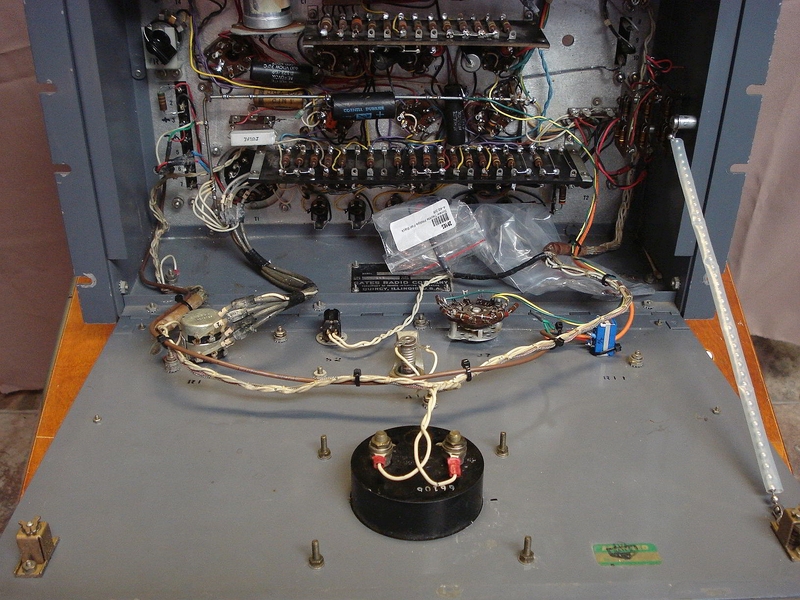 Original location of the recovery time switch had been on the rear, just under the large power transformer. (some glue residue can be seen where the switch nameplate has been removed). This switch is moved to the front panel, fitted in place of the headphone jack. 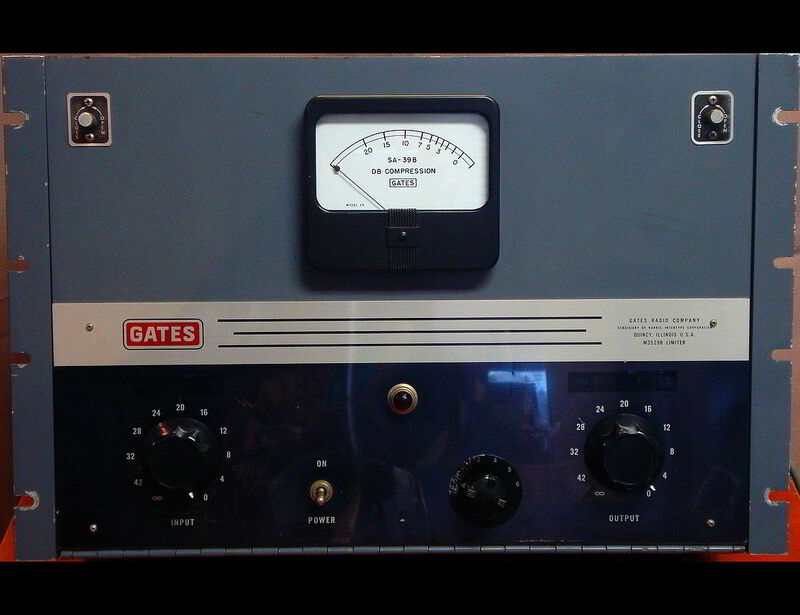 This mod turns a somewhat unusable Gates SA39 limiter into one of the most impressive limiters ever! Capitalizing on a fantastic design by the brilliant Gates engineers this mod eliminates drawbacks to practical use in the recording of music while preserving and even teasing out a bit more of the inherent impressive sound. The result is a totally usable fat, warm and punchy sound equal to but not surpassed by just a few other similar units. It does improve the sound passing through it. It calls attention to the instrument or vocal being recorded. It just plain impresses. It wins. This Mod came about at the request of some customers who noted the fantastic sonic characteristics of the Gates SA39 limiter, but found some significant drawbacks that prevented them from practical use of the unit in music production. Way too much gain. The SA39 has the gain of a mic pre….but we have mic pres for that. The limit threshold is fixed, so to get more than just a tad of compression/limiting the gain must be turned up, resulting in way to hot an ouput level, as most of the excessive gain follows the gain reduction circuit. The output pad reduces output level, but not by enough. The gain pot only varies gain by a small amount, usually not enough. In place of the fixed output pad and gain pot, a variable 600 ohm attenuator is fitted, allowing total control over output level. The recovery time switch and it’s nameplate is moved from the rear panel to the front in place of the headphone jack. The recovery time at each switch position is reduced to ½ it’s original value.